BACK BY POPULAR DEMAND are two comprehensive film guides by Steven Jay Schneider, both of which were out-of-print for nearly seven years. 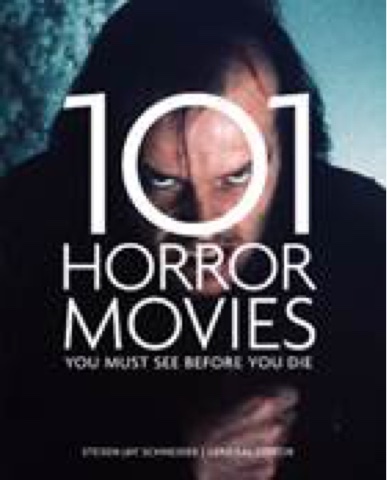 101 Horror Movies You Must See Before You Die is a whirlwind tour of the best and most influential films that have gripped audiences and filmmakers alike since the very beginning of cinema. It’s a a thorough appreciation of the genre, because it approaches the subject chronologically. You'll move through gothic classics like James Whale's The Old Dark House (1932) and Terence Fisher's Dracula (1958), to zombie movies like Dawn of the Dead (1978) and 28 Days Later (2002). All the sub-genres are covered too, with insights from critics, film historians, academics and experts,from Eyes Without a Face (mad scientist) and The Howling (werewolf) to Nightmare on Elm Street (slasher) and The Silence of the Lambs (serial killer). And you'll learn that it's not just American teenagers who are horror-film fodder. There are classic horror films from Japan (Onibaba), Russia (Vij), Italy (Suspiria), France (Les Diaboliques), Belgium (Man Bites Dog), Germany (M), and the Netherlands (The Vanishing). Immerse yourself in the most compelling of movie genres. Prepare to be possessed - and whatever you do, don't answer the phone. 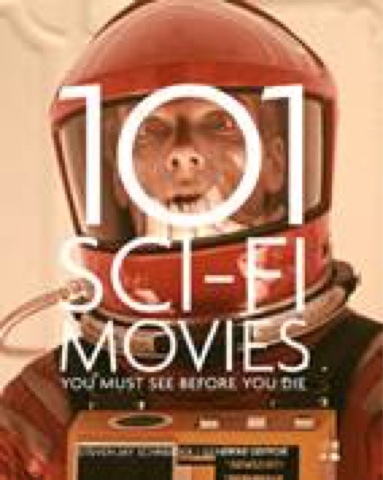 101 Sci-Fi Movies You Must See Before You Die explores the most imaginative contributions to the genre, with intriguing details and insights by the author and a host of critics, film historians and more. From the classic low-budget, space exploration Flash Gordon tales of the Saturday matinee serials to the slick, CGI-realized world of The Matrix, science fiction films have long been pushing the boundaries of the visually and dramatically fantastic. Take a classic cop chase, and set it on Mars. Think of a haunted house story, then add the Nostromo. Take the boy-meets-girl classic, then make them mutants. Turn the known world on its head, play with the laws of physics, and all the while hold your audience spellbound. Steven Jay Schneider is a film critic, scholar, and producer with MA degrees in Philosophy and Cinema Studies from Harvard University and New York University, respectively. An expert in horror films, he is the general editor of the best-selling 1001 Movies You Must See Before You Die. He has written and and edited a number of books on the horror, including Fear Without Frontiers: Horror Cinema Across the Globe (Fab Press), New Hollywood Violence (Manchester UP), 100 European Horror Films (British Film Institute), Horror Film and Psychoanalysis: Freud's Worst Nightmares (Cambridge UP), Traditions in World Cinema (Edinburgh UP), and The Horror Film (Taschen). His all-time favorite horror films are The Haunting (1964), The Shining and Rosemary's Baby. He has recently moved to Hollywood to produce horror movies of his own, including one with Wes Craven and the sequel to White Noise.